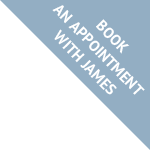 James Russell is a dentist with a special interest in cosmetic and restorative dentistry. He has been accredited by the British Academy of Cosmetic Dentistry. Copyright © Dr James Russell. All rights reserved.